On a Friday morning in West Palm Beach, World Cup fans clad in sky blue took over the Argentine restaurant Al Pan Pan. 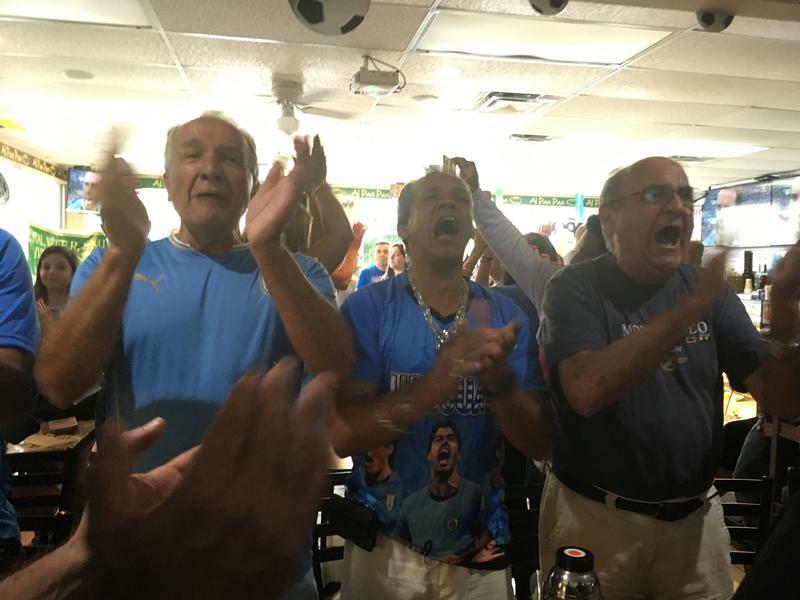 South Floridians representing a host of different Latin American countries collectively cheered for their neighbor Uruguay in its match against France. Members of the crowd screamed, cried, and bit their nails during the quick 95-minute game. Among the folds of Uruguayan flags stood patron Juan Iglesias, who is Cuban. "Whoever's in that is a Latin country, you know I root for that," Iglesias said. 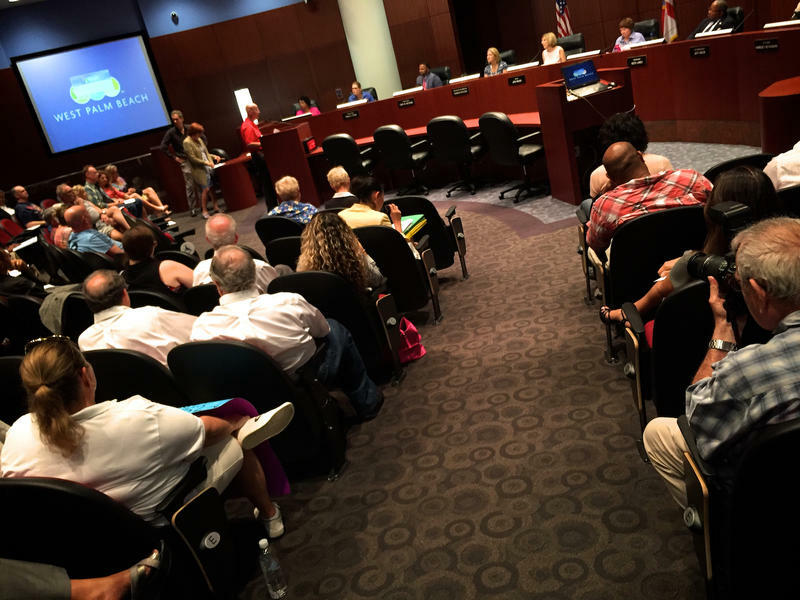 The West Palm Beach City Commission adopted a “welcoming city” immigration policy last year. The measure led the county to fall under the suspicion of the Department of Justice for deliberately withholding information regarding the immigration status of people taken into custody. In a nondescript West Palm beach strip mall is a small office; on the door, it reads Mothers Against Murderers Association. 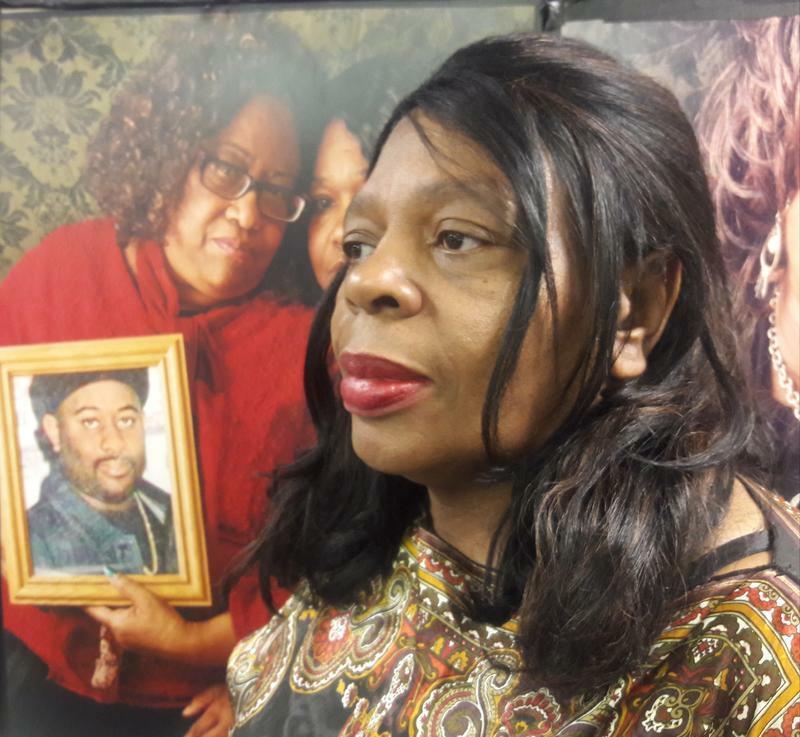 Also known as MAMA, the nonprofit is a meeting space for families who have lost loved ones to gun violence in Palm Beach County. Around half a million people come to the South Florida Fair in West Palm Beach every year -- some with cows, goats and chickens in tow. Young people from 18 counties bring their best livestock to be judged...and then sold – at the Youth Livestock Auction. 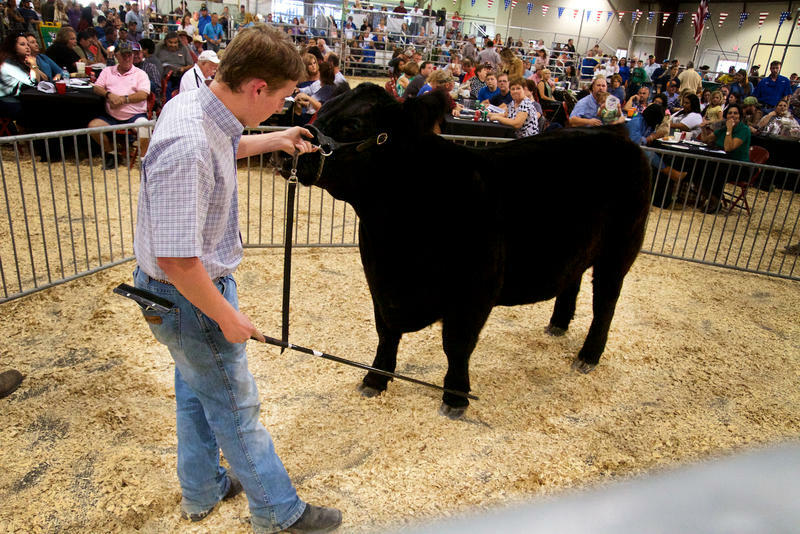 That’s where WLRN’s Peter Haden caught up with one of them: Okeechobee High School’s Patrick Lehman and his 12-hundred pound prizewinning steer, Melvin. Community members gathered at West Palm Beach City Hall on Thursday for a sit-in in support of two gun control bills in the House of Representatives. Congresswoman Lois Frankel organized the event after participating in a sit-in last week on Capitol Hill in Washington, DC. 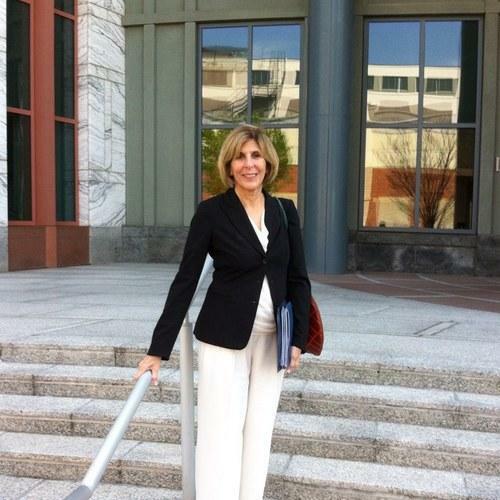 The two bills Frankel is fighting for are what she calls “common sense” measures to reduce gun violence. One of the bills would bar terror suspects from obtaining firearms, and the other would close loopholes that allow people to buy guns online and at gun shows without background checks. Governor Scott was in West Palm Beach Monday morning to sign a deal to keep baseball spring training in South Florida. 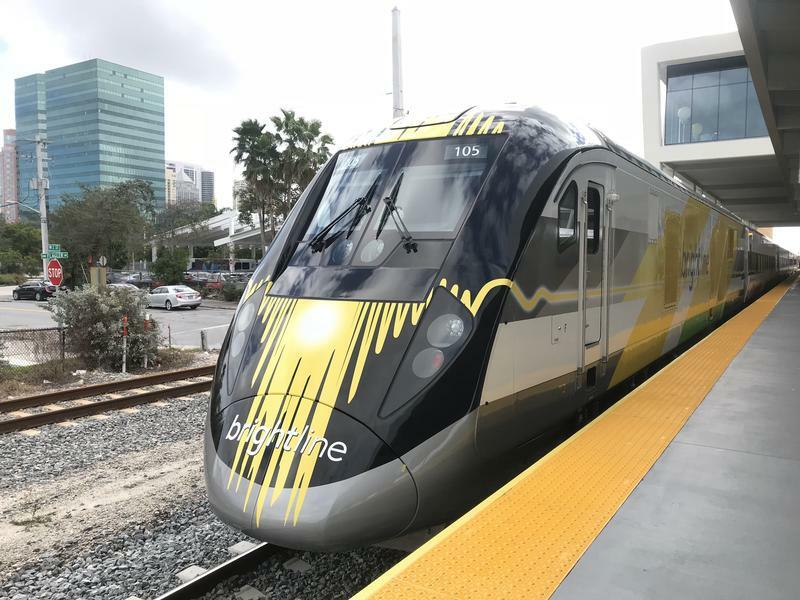 Florida has been fighting increased competition from Arizona as the preferred destination for Major League Baseball spring training, a big tourist draw for sports fans. 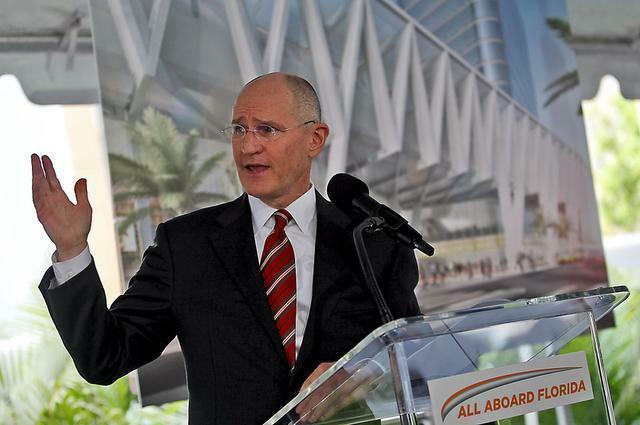 Governor Rick Scott signed into law a land swap between the city of West Palm Beach and Palm Beach County, removing the last obstacle to the construction of a $135 million spring training facility for two Major League baseball teams. 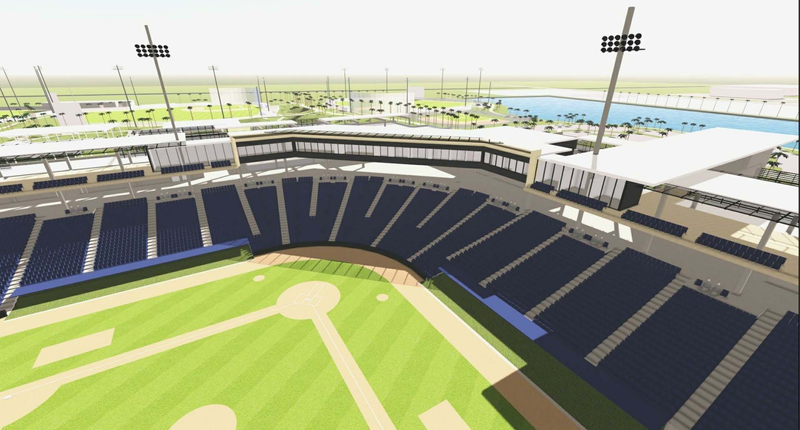 Local leaders in West Palm Beach are looking forward to hundreds of jobs and a fatter economy from a proposed $135 million spring training baseball stadium that's nearing approval on a couple of fronts. But, they say, they'll give it up in a minute if scientists find it’s a threat to their drinking water. A two-year-old incident involving photos of people hanging by nooses could cost the City of West Palm Beach $100,000. 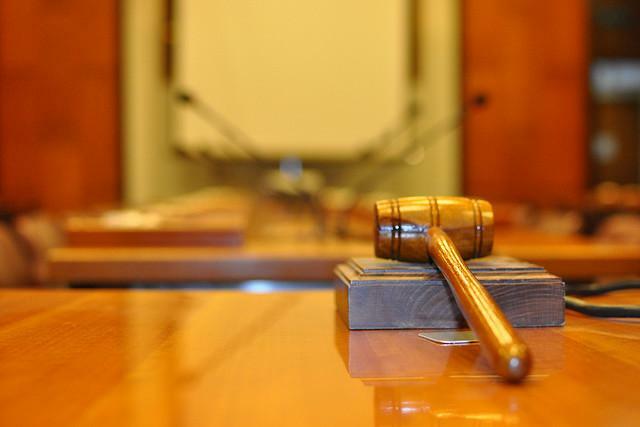 The city commission will consider paying the settlement to three employees who say they were harassed in the workplace. In 2012, David Fowler, Raymond Johnson and Alden Wilder found photos depicting people with ropes around their necks and people getting beaten. The photos were found in an envelope on a city truck they used. The 38th annual Carbonell Award nominations are out, and Palm Beach County came out on top with the most nominations at 62. The Maltz Jupiter Theater topped all other theaters, carrying 19 nominations. The Maltz is no stranger to Carbonells, having received more than 20 nominations per year in the past two years. Notable nominees include two recently established Boca Raton theaters: Slow Burn Theater Company and the Wick Theater and Costume Museum.